Talent Development provides experiential learning opportunities for on-the-job learning for staff (both on a systemwide and local basis) via the integration of social learning technologies that will empower staff to reach their personal and professional goals. We encourage you to join your community by participating in our programs. The Learn at Work Series uses a participant-centered, culturally-responsive model of teaching by providing experiential learning opportunities for on-the-job learning for staff members at UC Merced. Volunteer instructors are integral to the success of the Learn at Work Program. Volunteers instructors are subject-matter experts who donate their time leading courses, workshops and training sessions during fall, spring, and summer semesters. All UC Merced staff members are invited to join the Build Your Network (BYN) program. The BYN program connects BYN participants with experienced staff members known as ambassadors and with campus and community experts in efforts to expand networking and learning opportunities. Someone, somewhere has successfully solved most problems you face. Through CEB's analysis of leading companies they identify the most innovative, actionable approaches and distill the transferable ideas, tools, and templates to help solve your challenges. CEB Corporate Leadership Council membership includes access to a variety of resources, events, and services designed to make best practice solutions easy for you to implement. Talent Development and the Center for Career and Professional Advancement have partnered to offer UC Merced's Career Advising Certificate Program. It offers staff working with students an opportunity to enroll in a career advising-centered program comprised of 8 required courses offered during the period of two semesters - fall and spring. Diversity, Equity and Inclusion education and professional development for employees are critical elements of UC Merced’s commitment to the principles of community. As such, strengthening the cultural competence of our employees and fostering inclusive workplace and educational environments are among the focuses and purposes of the University’s professional development and personal enrichment programming. In alignment with our commitment to access, equity and diversity, a primary intent of the Diversity Awareness Certificate Program (DACP) is to ensure that employees have relevant multicultural and diversity learning opportunities to (a) increase their knowledge; (b) build their awareness; and (b) enhance their related skills and competencies. At UC Merced, we value facilitation techniquest and would like our staff and faculty members to explore the basics of facilitation through our Facilitating Group Dynamics course which is comprised of two sessions. The Management Skills Assessment Program (MSAP) is designed to strengthen the engagement and preparation of high potential UC supervisors, managers, and professionals. It offers an intensive, off-site, assessment center experience for early career managers. 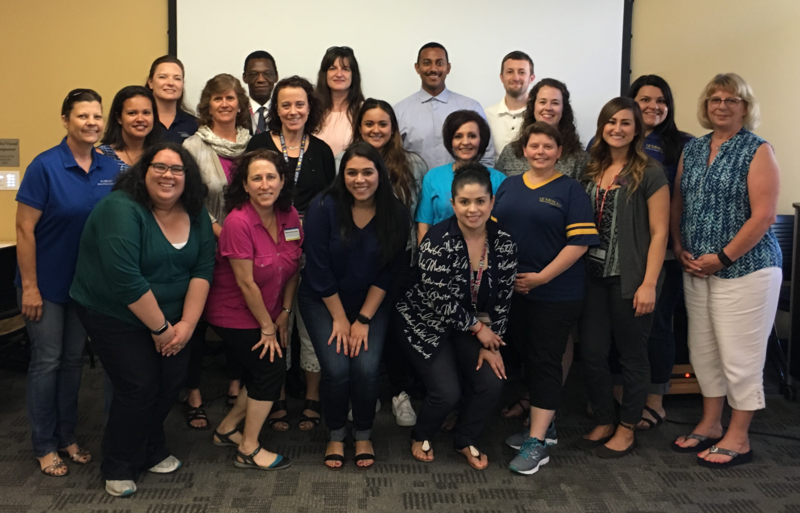 UC Merced has partnered up with the Merced College Workplace Resource Center to offer the Professional Learning Academy to enhance customer service, communication, and business skills. The UC Merced Supervisory Certificate Program is a flexible, performance skills based program of learning that was designed and has been successfully implemented in UC San Francisco and other UC campuses to provide supervisors and supervisor aspirants with an opportunity to develop supervisory competencies. UC Merced has adapted this program to the needs of UC Merced’s supervisors and managers. This systemwide program consists of eCourses designed to increase awareness of implicit bias and reduce its impact on hiring processes at the University. It also further reinforces the University’s commitment to diversity, equity, and inclusion; which enables us to attract and retain a top talent workforce and develop effective leaders. The UC Systemwide People Management Series and Certificate is a program for all People Managers consisting of Core and Elective Courses, which includes local and systemwide programs and eCourses, as well as in-person learning experiences, and covers the following topics: Performance Management, Managing Implicit Bias, Managing People, Administration & Operations, Change Management, and Communications. The UC Performance Management Series provides the fundamentals of performance management including important information, tools and resources needed to support UC people managers in their roles. Learners are encouraged to download the Participant Playbook found within the course, and use it along with the other resources in the course, to help capture key concepts, complete exercises, and to use it as an on-the-job reference. It is recommended you take the series in order.